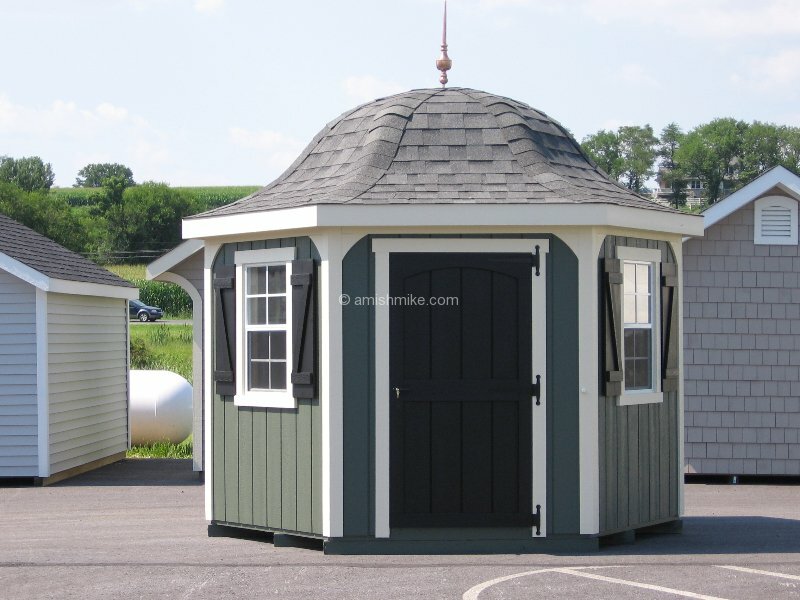 Taking from the design of a gazebo and adding features of a shed this pool house is available in only a few sizes. Its a six sided pool house with a belle roof line. THis pool house features a single door and two 24″ x 36″ windoes. There are many custom options available making it the pool house of your dreams. 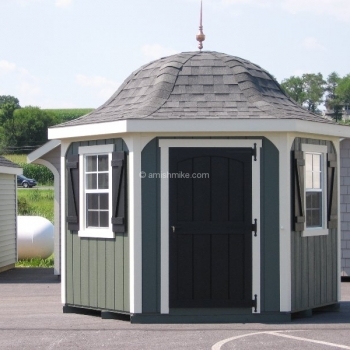 Take a look at some of our shed options and see the many different door designs. Adding a copper finial is another option that helps this pool house stand out from others.